The pre-Easter weekend is usually a little busier than it is this year, though the impending release of mega-juggernaut Avengers: Endgame is likely keeping films at bay (though next weekend is a touch busier than usual pre-Avengers weekends). 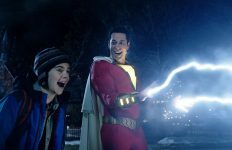 The lack of massive new releases allowed Shazam! to top the domestic box office again as it grossed another $25.1 million, a 53% drop from last weekend. That’s a smaller than usual second-weekend decline for a superhero movie (they usually fall in the 56-59% range) and is the second-biggest second-weekend hold for a DC Extended Universe film, only Wonder Woman held better. After ten days of domestic release, Shazam! has grossed a stupendous $94.9 million. The biggest of our new releases this weekend was Little, which took in $15.4 million. That’s actually the second-worst opening weekend for a movie produced by Will Packer in the last thirteen years, only the $15.1 million bow of Almost Christmas was worse. That’s more a testament to the box office prowess of Will Packer-produced features than a seal of doom for Little though, which still managed to fare solidly for a $20 million budgeted comedy and gave Issa Rae a fine opening for the first theatrical movie she’s headlined. Though the high-concept premise has been done enough times to likely keep this one from truly becoming a breakout hit, the trailers and TV spots were clearly still successful enough to get a sizeable amount of audiences into theaters. I’d imagine we’re looking at a final domestic gross of $44-48 million for Little. 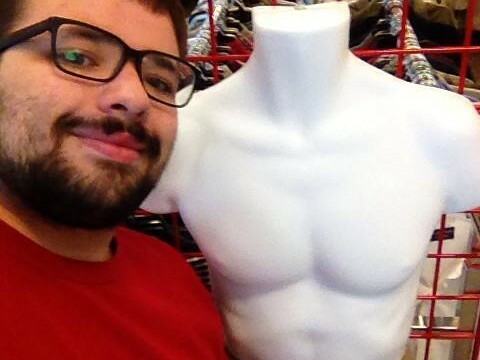 Whereas Little got off to a good start this weekend, fellow wide release newcomer Hellboy most certainly did not. 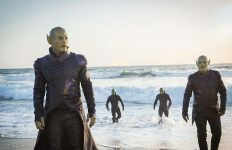 Grossing only $12 million this weekend, Hellboy got off to the second-worst start for a superhero movie opening in wide release in the 2010s, only Jonah Hex and his $5.3 million bow was worse. This is an opening that’s also 65% below the debut of Hellboy II: The Golden Army from 2008 and down 51% from the opening of Hellboy in 2004. It also opened beneath all the opening weekends of the Resident Evil movies, a series whose box office Lionsgate (which distributed Hellboy) had previously said Hellboy should emulate. Given the competition it faces from Avengers: Endgame in two weeks, it’ll be shocking if Hellboy clears $30 million domestically. Pet Sematary fell 59% this weekend, grossing another $10 million for a 10-day domestic total of $41.1 million, just $900,000 shy of doubling its $21 million budget. 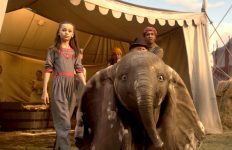 Dumbo fell 49% this frame for a third-weekend haul of $9.1 million for an $89.9 million domestic total. 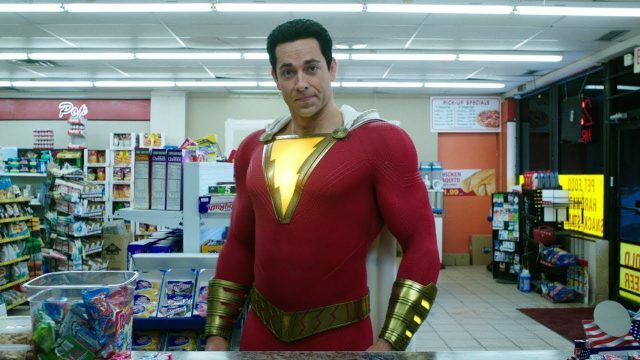 Captain Marvel had by far the smallest weekend-to-weekend decline in the top twelve as it eased only 30% to gross another $8.6 million for a massive domestic gross of $386.5 million. Right behind it was Us, which fell 49% to gross another $6.9 million for a domestic gross of $163.4 million. The last two releases from Aviron Pictures, A Private War and Serenity, were domestic box office non-starters but at least their newest release, After, exceeded (admittedly low) expectations with a $76.2 million bow. That’s not a massive bow in the world of young-adult book film adaptations and it was certainly a frontloaded production but for a $14 million budgeted production like After, it’s a fine bow (the international numbers are even stronger) and serves as a nice financial rebound for Aviron Pictures. These YA-novel adaptations don’t always score massive Hunger Games-sized box office but they’re usually cheap to make and rarely lose a ton of dough unless they’re called The 5th Wave. Hollywood should try making more of them and also try to utilize female talent behind the camera in making them like After (which is directed by Jenny Gage) did. LAIKA’s box office misfortunes took a new low this weekend as their newest offering, Missing Link, grossed only $5.8 million, the worst opening weekend in history for a film opening in over 3,400 locations. It’s also down more than 50% below the opening weekend of the last LAIKA release, Kubo and the Two Strings as well as one of the worst wide release bows for a fully stop-motion animated feature, only Shaun the Sheep Movie and Early Man fared worse. This pre-Easter weekend has worked wonders as a launchpad for animated family fare in the past but Missing Link’s marketing failed to grab family audiences and reviews, while overall positive, were never rapturous enough to interest adult viewers. Rounding out the top ten was The Best of Enemies, which grossed $2 million, a 55% drop from its opening weekend. After ten days of release, this drama has only grossed $8.1 million domestically. Unplanned fell another 45% this weekend to add $1.8 million to a domestic haul that now stands at $15.8 million. Facing off against a new YA-novel adaptation, Five Feet Apart fell 56% this frame to gross another $1.55 million for a $43.9 million domestic total. In its third weekend of wide release, Hotel Mumbai took in $868,876, bringing it up to an $8 million domestic total. Right behind it was The Mustang, which increased 1% from last weekend to gross $788,000 from 527 locations for a per-theater average of $1,495 and a domestic total of $3.1 million. How to Train Your Dragon: The Hidden World fell 63% this weekend, grossing another $730,000 for a domestic total of $157.9 million. Dragon is actually currently tied with Wonder Park, which also grossed $730,000 this frame for a domestic total of $43.4 million. Amazing Grace held nicely in its second frame as it took in $372,288 from 58 locations for a per-theater average of $6,419 for a domestic total of $612,244. Mia and the White Lion was the biggest of this weekends new limited releases but it grossed only $238,903 from 312 locations for an anemic per-theater average of $766. Meanwhile, High Life grossed $204,181 in its second weekend of limited release, a sum it took in from 32 locations for a per-theater average of $6,381. Mary Magdeline finally made its domestic bow this weekend, though it only grossed $62,436 from 61 locations for a per-theater average of $1,007. The Beach Bum fell off the beach this weekend as it plummeted 87% after losing 955 of its theaters. Grossing only $61,680 this frame, The Beach Bum has grossed only $3.3 million. The new Elle Fanning feature Teen Spirit grossed only $44,361 from 4 locations for a per-theater average of $11,090. That’s one of the weaker starts for a Bleecker Street release (only five of their other releases had weaker openings), though maybe it gains ground when it expands to 800+ locations on Friday. Her Smell grossed $39,058 from 3 locations for a per-theater average of $13,019, which is the biggest opening weekend ever for an Alex Ross Perry directorial effort. Peterloo is only in its second weekend of limited release but it seems to have already run out of gas as the Mike Leigh directorial effort grossed a meager $33,939 from 32 locations for a per-theater average of $1,061 and a domestic gross of $66,020. Finally, Wild Nights with Emily opened to $33,000 from 3 locations for a per-theater average of $11,000. The top 12 movies this weekend grossed a total of $104.8 million, a weaker than usual sum for this time of the year. 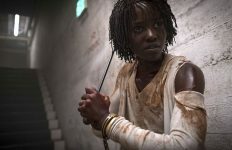 April 2019 has so far grossed $350 million, a number that should be heavily boosted by a single new release at the end of the month. I’m, of course, talking about the wide release expansion of Stockholm.